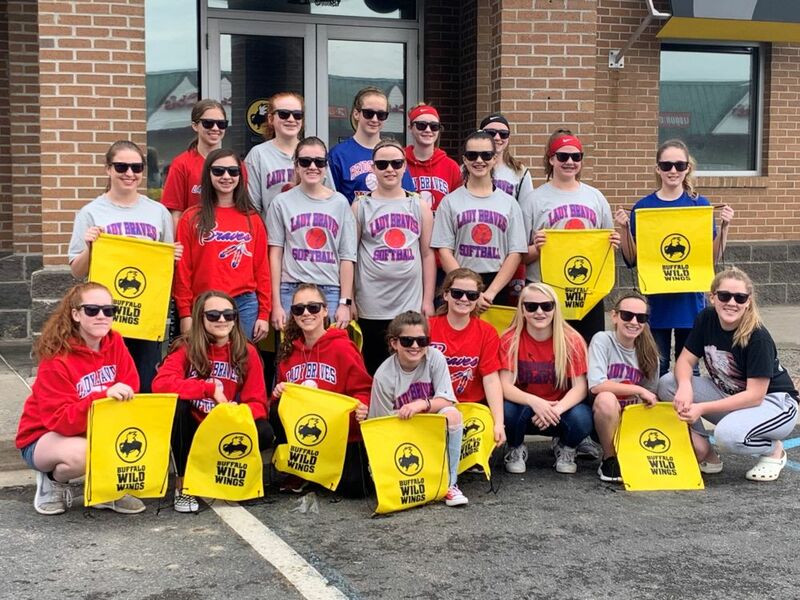 On Saturday, April 6, the Bridgeport Middle School Lady Braves softball team held an annual fundraiser, a pancake breakfast at Buffalo Wild Wings in Bridgeport. BMS Lady Braves players sold tickets at $5 each to family members, friends, teachers, and the local community interested in attending the event and/or supporting the team. During the breakfast, team members served as hostesses, wait staff, soft drink runners and table cleaners. The event raised nearly $2,000 and the money will be given to the BMS Boosters organization. The Lady Braves softball players and coaches thank those who financially supported this effort and the management of Buffalo Wild Wings for allowing the fundraiser to be held at their establishment.